I have been moved this Easter by Mark’s account of Jesus’ resurrection—by a detail I had never noticed and a renewed understanding of a well-know verse. I looked up the Greek verb translated “amaze” and found out it can mean “to alarm thoroughly, to terrify or to be struck with amazement.” It seems the messenger was all about them not letting terror demobilize them or amazement mystify them. The Kingdom of God must continue. Jesus is alive and already going ahead to meet them in Galilee—where he will send them out to continue his mission. But the women don’t heed the angel, but flee from the tomb. Terror and amazement grip them. They say nothing to anyone because they were afraid. When Mary Magdalene is then met by the resurrected Jesus and then tells the disciples, they refused to believe he was alive and had been seen by her. Fear, amazement and unbelief were the major obstacles to the movement continuing—and when Jesus himself meets the eleven he reprimands them for their unbelief and hardness of heart—because they refused to believe the humble witnesses who had seen him after his resurrection. As I am now considering what is required by these first Christians I can see that things haven’t changed much since these first days. Fear, unbelief and hardness of heart block the weak (but powerful) steps of radical faith required of us today. These first believers, like we ourselves, had to step out in vulnerability to follow Jesus, who is described as having been received into heaven to sit at God’s right hand. But he worked with them as they went out, and will work with us now too. “And they went out and preached everywhere, while the Lord worked with them, and confirmed the word by the signs that followed” (Mark 16:19). 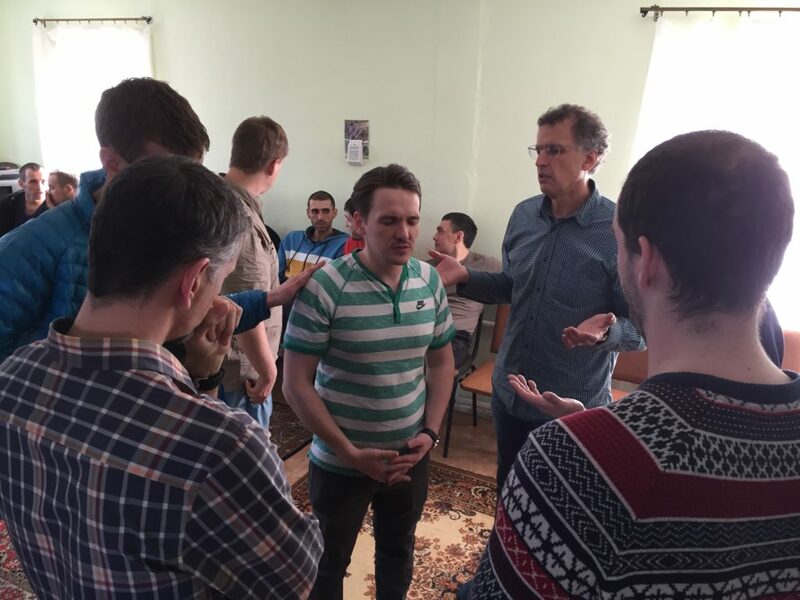 In late March Gracie and I were in Siberia teaching a course on holistic liberation together with Mike Neelley, our son Isaac and two friends from Paris. 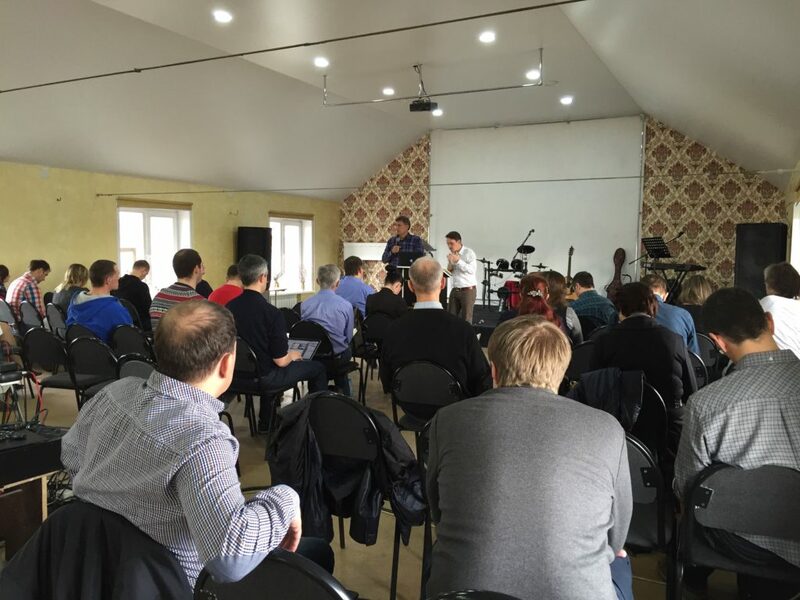 During the first session with 40 Russian pastors and leaders I spoke on Isaiah 59, interpreting an oft-misunderstood notion that sin separates God from us. As I was speaking I remembered an example from years ago in Skagit County Jail, where I saw the Holy Spirit bring relief to four inmates who were not yet Christians. I described to my Russian audience (nearly all ex-addicts and many ex-offenders) how when looking at a particular inmate I saw in my minds eye a metal bar coming down atop his head. When I asked him and the others if any had been hit on their heads with a metal bar, four inmates had raised their hands. I had prayed for them regarding trauma and head injuries and they had been deeply touched. As I was wrapping up my teaching in Siberia I wondered why I had brought up that particular example. I decided to ask if anyone in the audience had been hit on their head with a metal bar or wooden bat. A number of people raised their hands, and many more came up for prayer. There were a number of people healed, and many forgave those who had struck them at different times of their lives. One pastor had lost vision in his right eye due to a such an injury. After receiving prayer his vision was completely restored. God confirmed the words with signs, and we witnessed this and it filled us with joy. Jesus is no longer dead but alive and goes ahead of us to meet us. Let us resist any fear or amazement that demobilizes, and unbelief and hardness of heart that blocks. Let us step into Jesus’ ministry and make it our own with expectancy, re-reading and prayerfully considering his instructions to disciples at the end of each Gospel (Mark 16:15-18; Matthew 28:18-20; Luke 24:46-49).